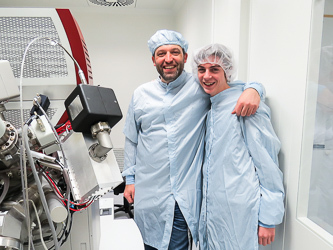 Matyáš Černý is a student of the Secondary Technical School of Communication Technology in Prague and he is interested in science for a long time. On November Open Days, he joined the competition and won the first prize, a day with a scientist. He could choose which research team to visit and spend one day at our institute. He chose the Synthesis and Characterization of Nanomaterials and visited us this week. Complete photogallery can be found on our Facebook page.